Please fill in the short form below with your question, either about the Simrad S2016 Echosounder, or for some technical advice. Please include details of your vessel if you feel they will help us answer your query. 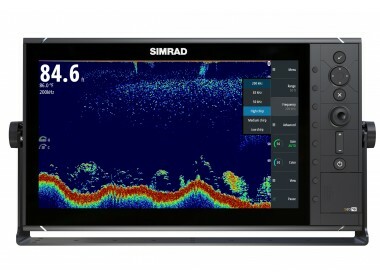 The Simrad S2016 Echosounder combines a single-channel Broadband Sounder™ module with CHIRP technology, 16-inch widescreen display for an extensive on-screen history, and intuitive keypad-driven operation. Robust and offering both bracket and flush-mount installation options, the S2016 was designed to meet the need for a dedicated Echosounder display aboard coastal and offshore fishing vessels. The S2016 includes an integrated single-channel Broadband Sounder™ module with plug-and-play transducer port, compatible with Simrad and Airmar transducers equipped with blue 7-pin connectors. Adapters are available to allow easy and cost-effective retrofit of existing Simrad, Airmar, and other third-party transducers. The S2016 includes CHIRP technology, which utilizes frequency-swept sonar pulses to deliver higher resolution, improved target separation, and greater image clarity than traditional sonar at all depth ranges. 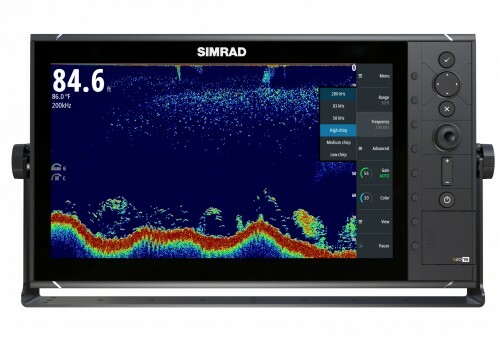 Simrad technology makes CHIRP available not only on special-purpose CHIRP transducers, but also via traditional single-frequency transducers. Vessels with a suitable transducer already installed can add CHIRP technology simply by installing an S2000-series Fish Finder, offering an extremely cost-effective upgrade. With a high-definition 16-inch LCD in widescreen format, the S2016 offers a combination of excellent vertical detail and a lengthy on-screen echosounder history. This reduces the operator's need to zoom or scroll, while allowing easy backtracking to promising areas. The S2016 Fish Finder offers a range of features to quickly and easily adjust the on-screen image to suit the task at hand. White Line clearly separates the water column from the bottom with a high-contrast white line, for enhanced bottom visibility. White Marker allows any user-selected colour from the fish finder image to be replaced with high-contrast white, highlighting specific sonar echoes corresponding to fish or other targets of interest. Colour Erase allows any selected colour to be blended into the background, eliminating unwanted noise or unimportant features from the display. The S2016 is operated by an integrated keypad and rotary dial. Direct-access menu keys beside the display provide intuitive control of on-screen menu options, for one-button access to key settings and features. With reliable, long-life operation and clear tactile feedback, the S2016's large buttons are suitable for use in rough seas, while travelling at speed, and with wet or gloved hands. The S2016 may be flush-mounted, ideal for installation aboard new vessels. Alternatively, the included gimbal bracket is well suited to outside installations or wheelhouse refits. With watertight rear connectors, the S2016 is IPX7 water-resistant from all sides, in either flush- or bracket-mount installation. The S2016 includes Ethernet connectivity to share sonar data with other Simrad systems including NSO evo2 and NSS evo2 multifunction displays. The S2016 may also be used as a dedicated fish finder display for NSS evo2 systems, receiving sonar data from an NSS evo2 display's built-in Broadband Sounder™ module. Other devices may be networked via the S2016's NMEA 2000® and dual NMEA 0183® ports, enabling additional functionality such as waypoint marking and sharing with compatible devices. An HDMI output gives the option of a secondary monitor mirroring the S2016's primary display, allowing fish finder data to be made visible at two separate stations or duplicated on a larger bulkhead-mounted screen. 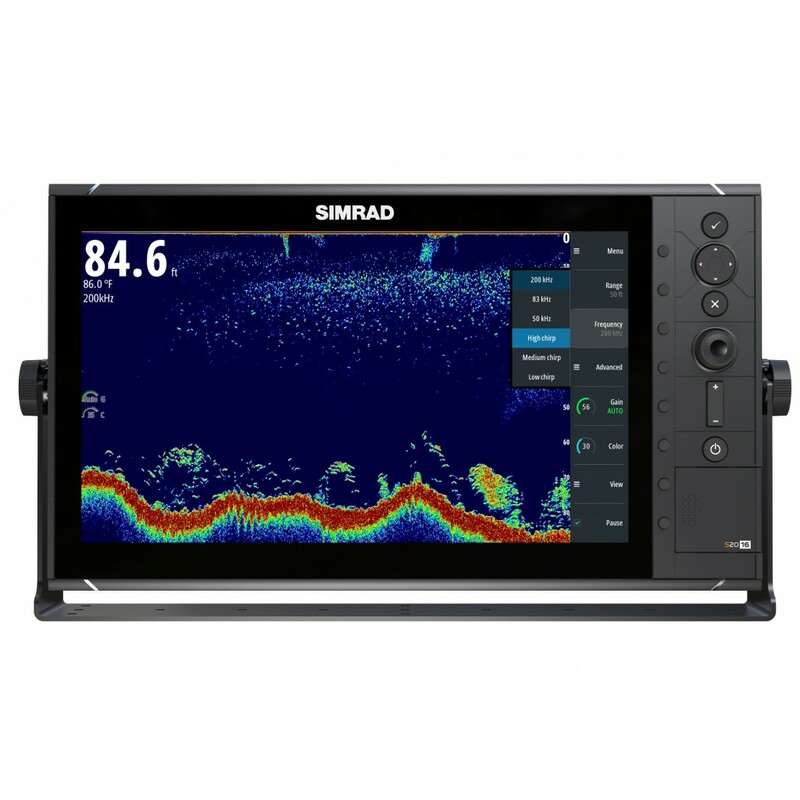 The S2016 is compatible with Simrad MO-series marine monitors, and other standard HDMI-capable displays. The S2016 is capable of recording sonar history to a full-sized SD memory card, which may be easily inserted and removed via a waterproof access hatch on the front panel. Recorded sonar logs may be used with the cloud-based Insight Genesis™ service to create custom fishing charts, or BioBase GIS software to create detailed aquatic bathymetric and vegetation maps for survey and research purposes.